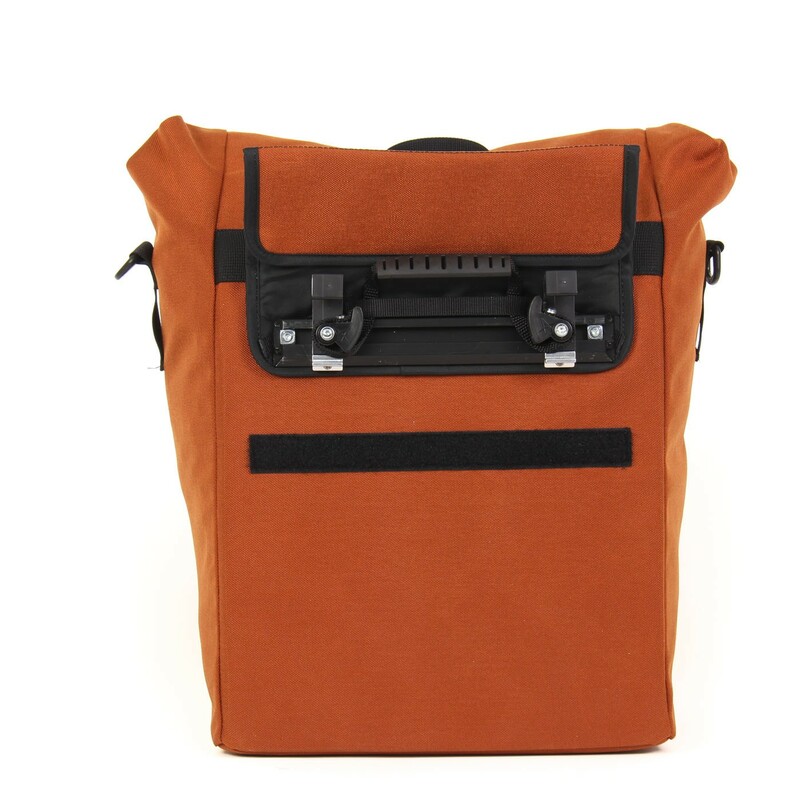 This waterproof laptop pannier is equipped with our Cam-Lock® mounting system. 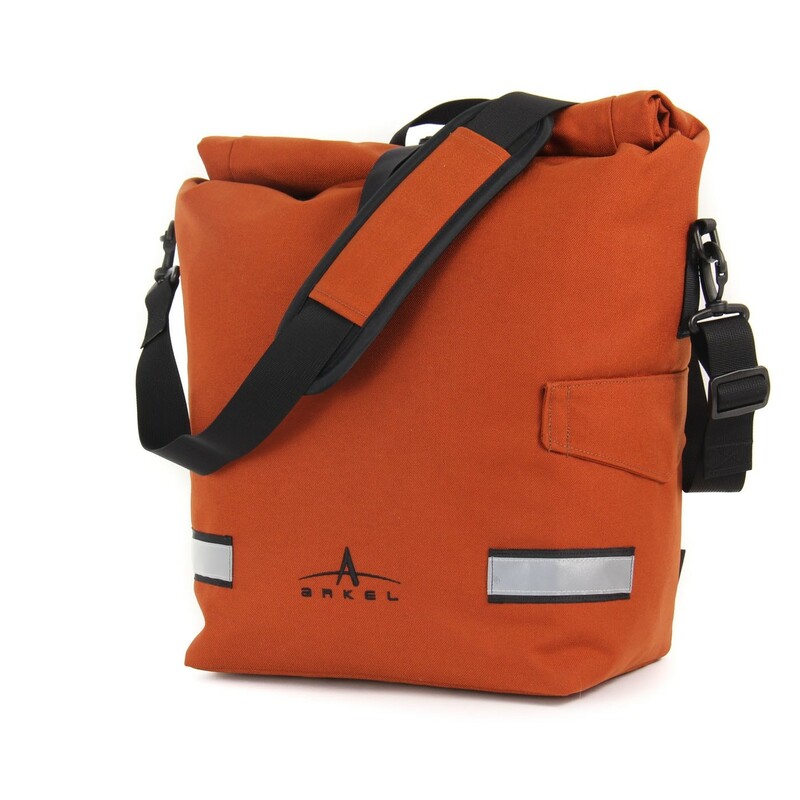 Waterproof laptop bike pannier (Vertical style design) made for urban bike travel. 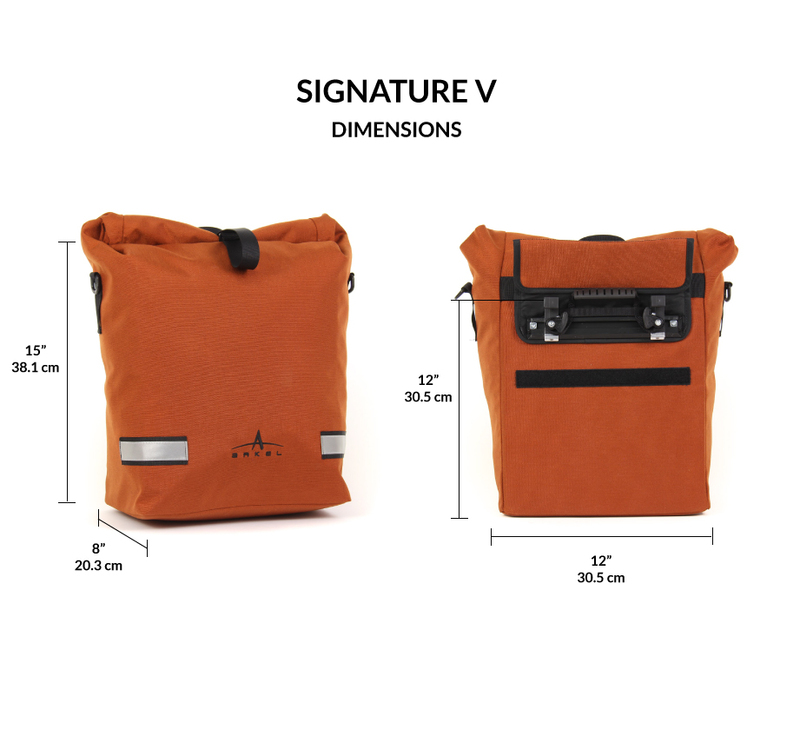 The redesign SIGNATURE V is a waterproof bike pannier (Vertical style design) made for urban bike travel. 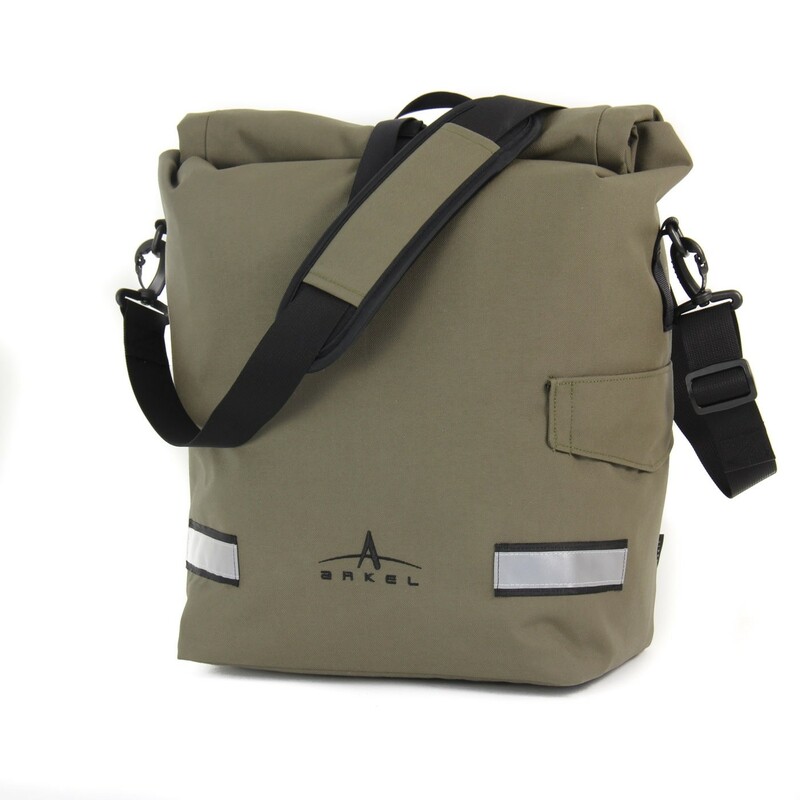 This pannier is made with sturdy 1000 denier US-made Cordura® nylon so you know it is built to last. 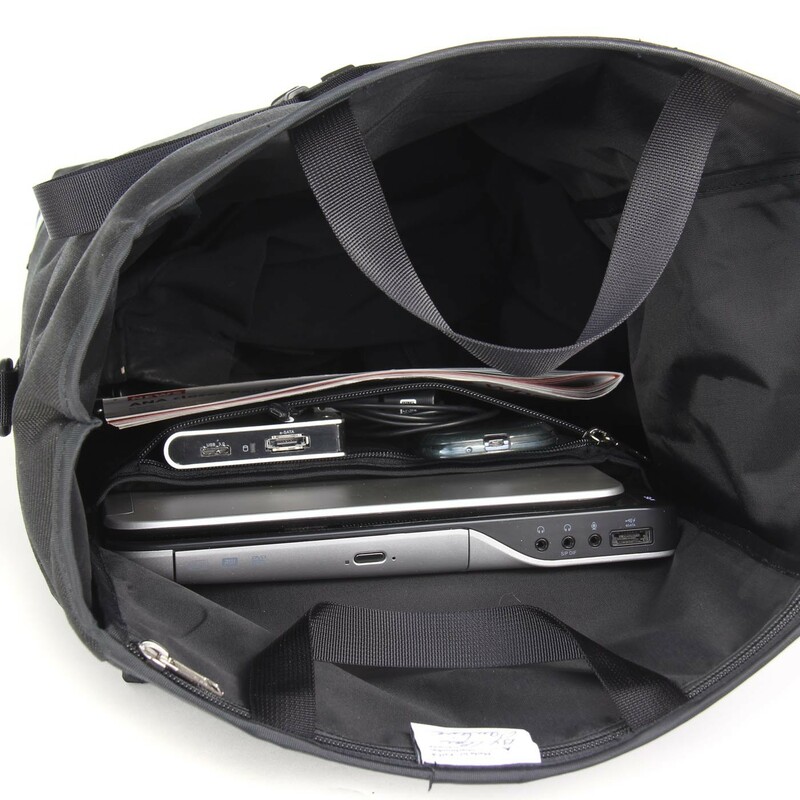 A TPU laminated internal nylon liner with fully taped seams ensures 100% waterproofness. 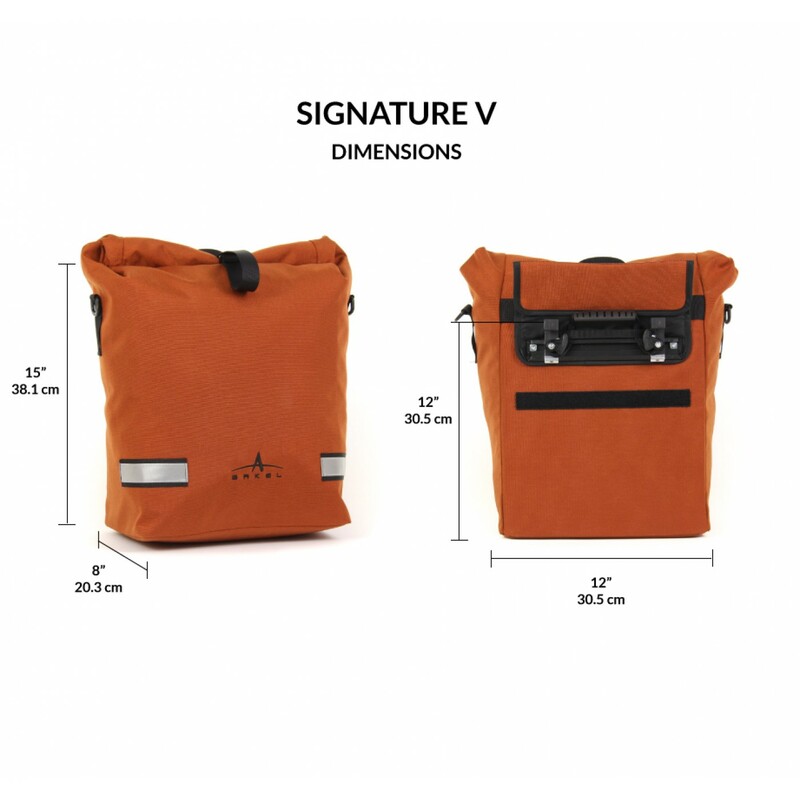 The SIGNATURE V is equipped with the best pannier mounting system in the bike business, i.e. our patented Cam-Lock® attachment system. 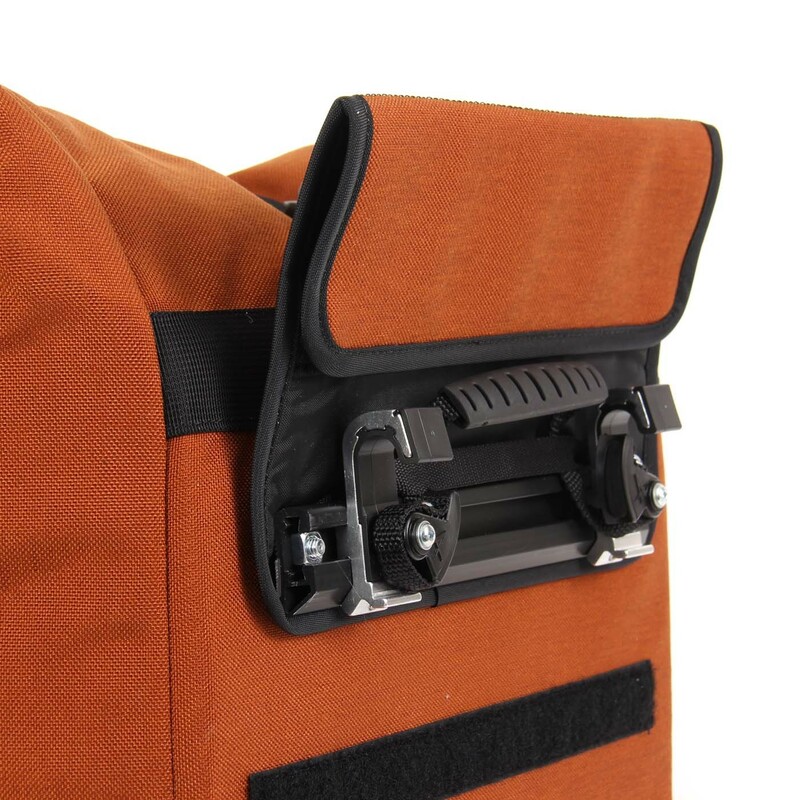 The super strong and fully adjustable aluminum hooks will safely and securely hold your laptop and gear on your rack. 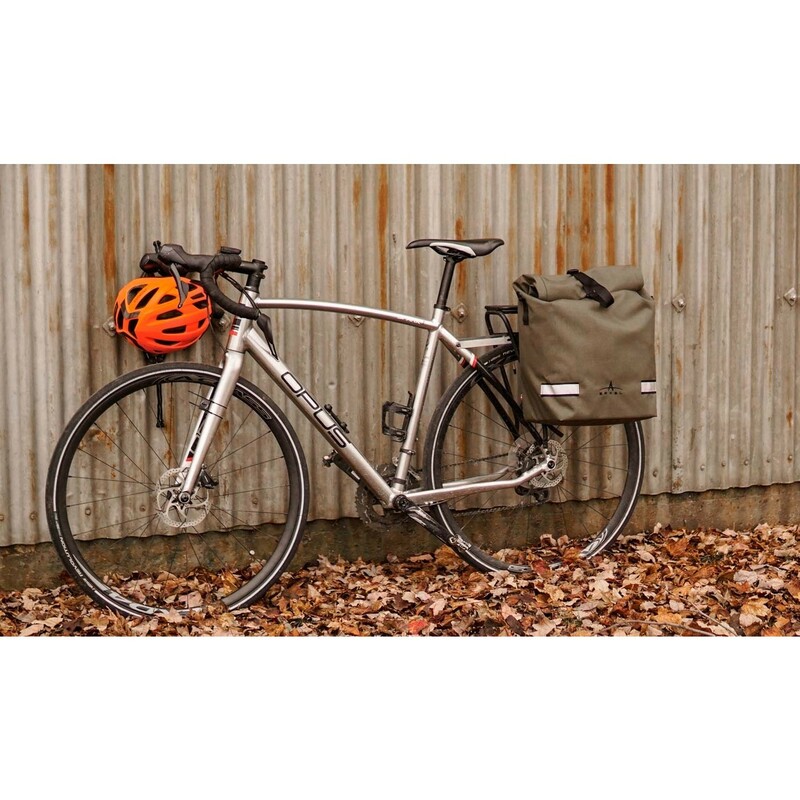 This pannier is handmade in Canada and signed by its maker. 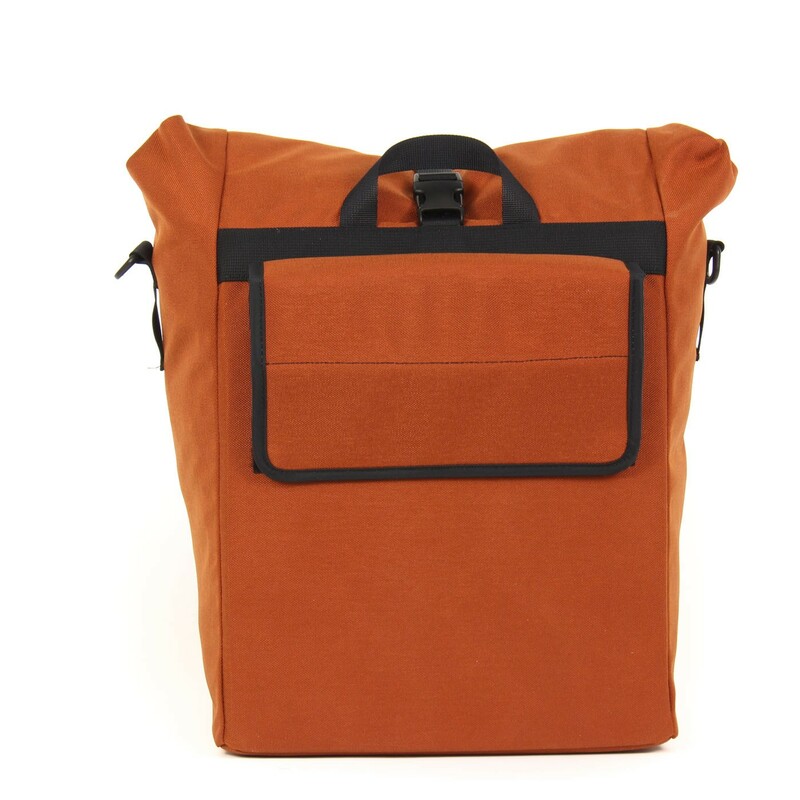 This bag is everything it claims to be. 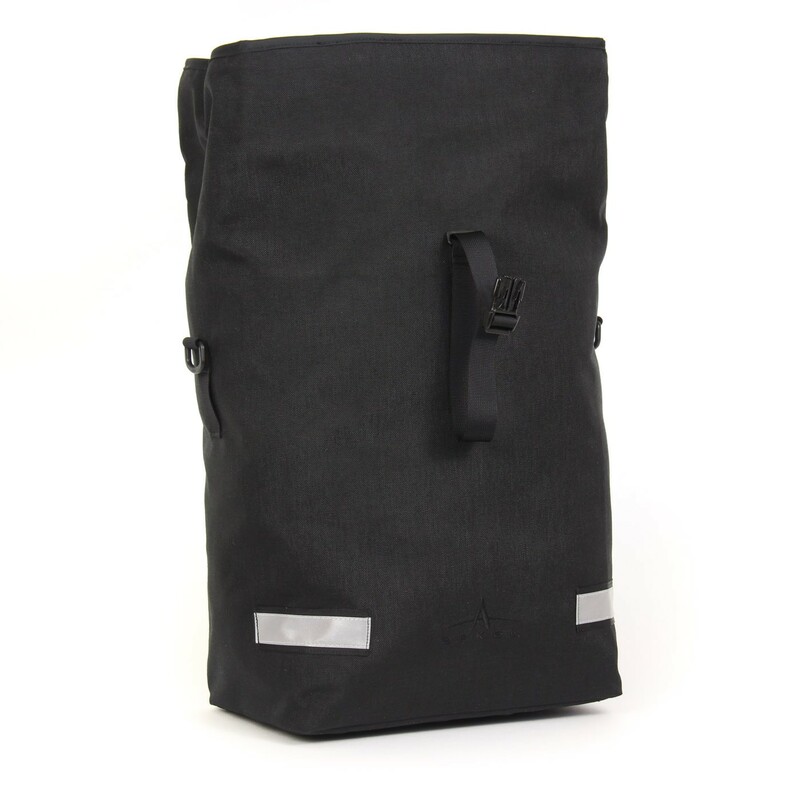 I figured I needed a waterproof shopping bag and this one hits the mark right on the bulls eye. I have even found a use for the laptop pocket. I have received a number of complements on the copper colour. 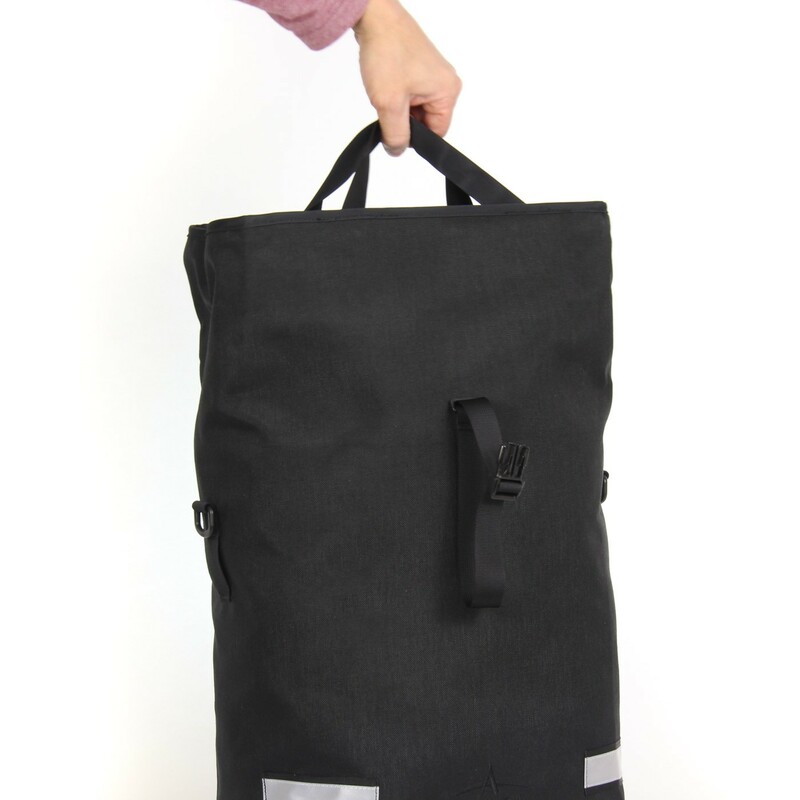 It would make a very good commuter bag. 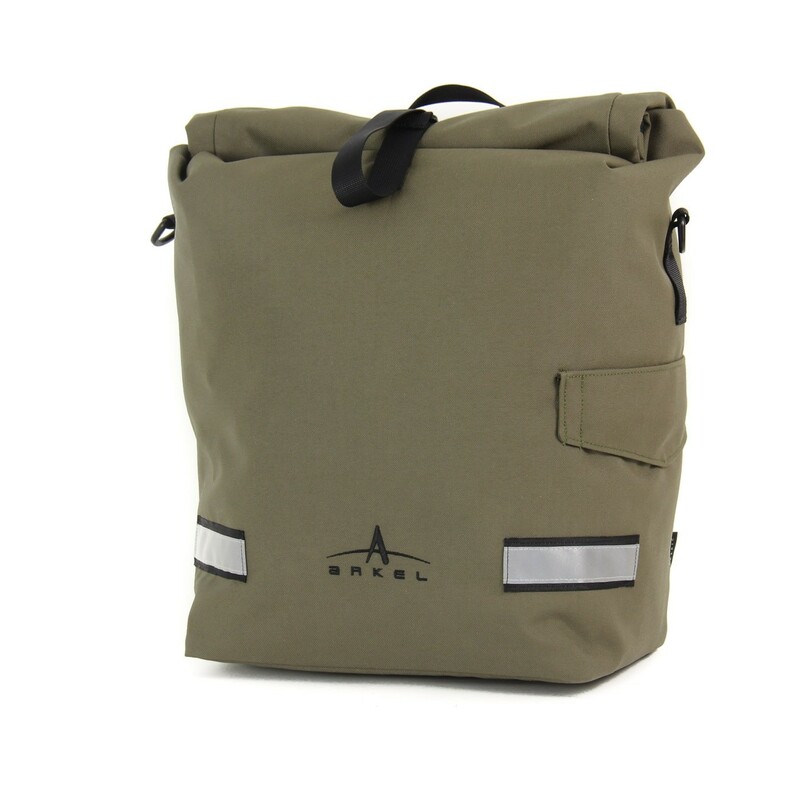 After using this pannier for close to 2 years now in sun, rain, snow, sleet etc, I can honestly say this is an amazing pannier. 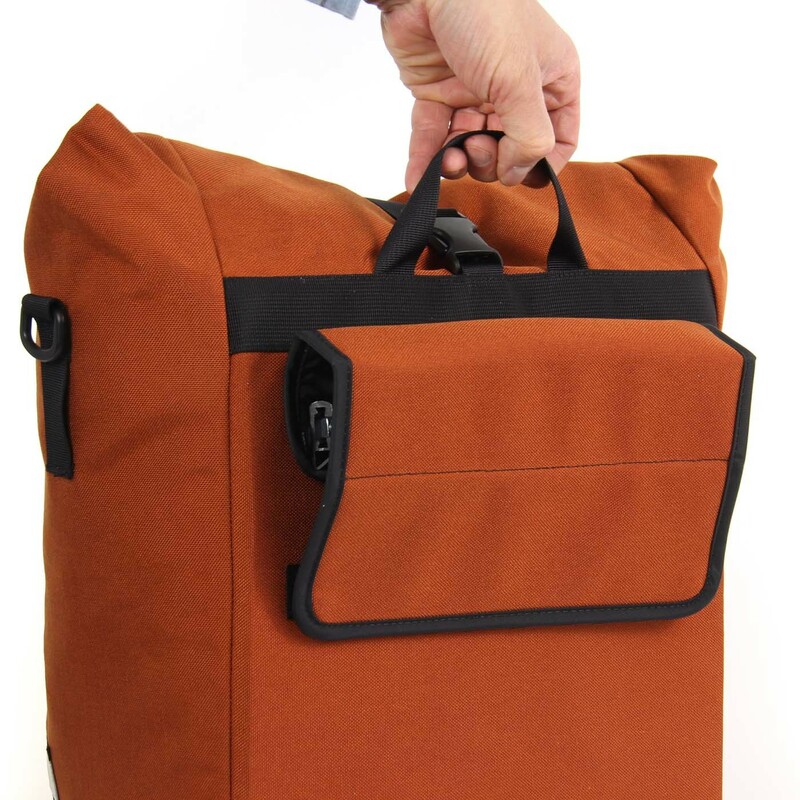 I love the laptop compartment and the sole reason I bought this and this pannier has performed better than I thought imaginable. 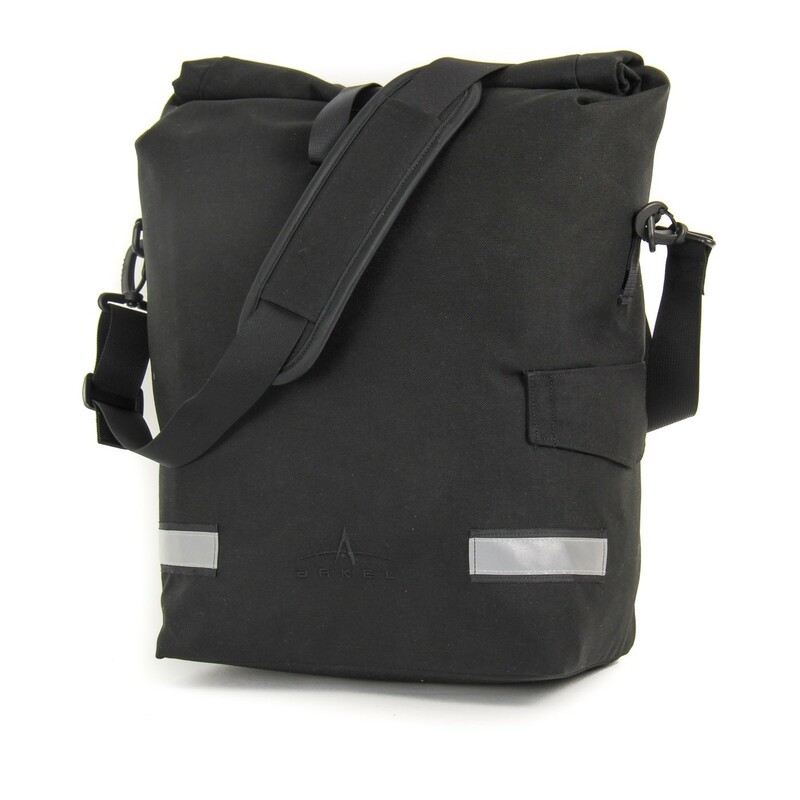 I'm in Vancouver and there are many days of riding in downpours and this bag keeps everything dry. 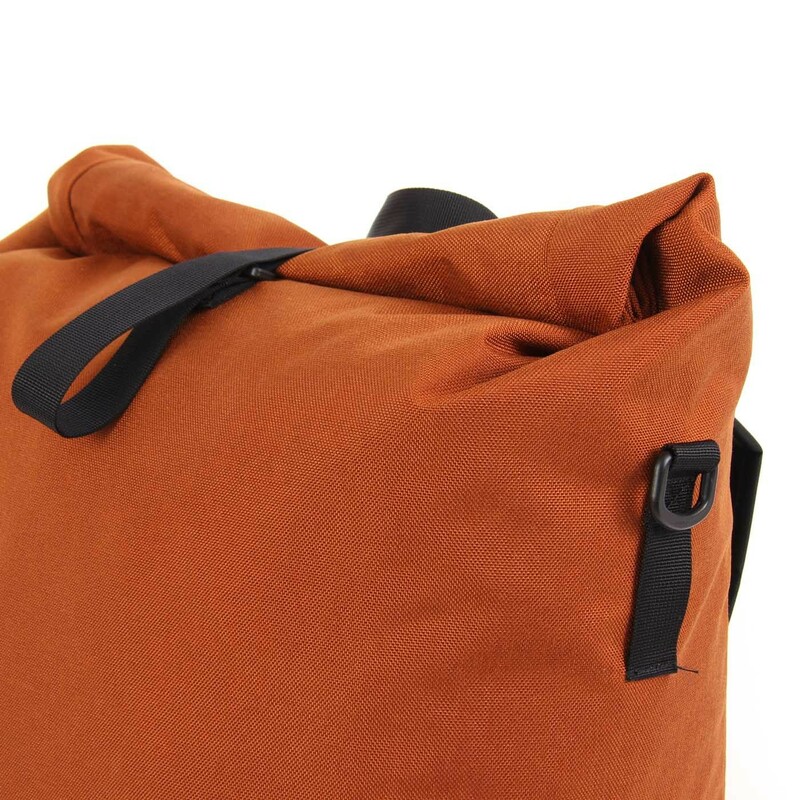 There is plenty of room to store whatever you need and love the roll up top that allows you to expand if need be. 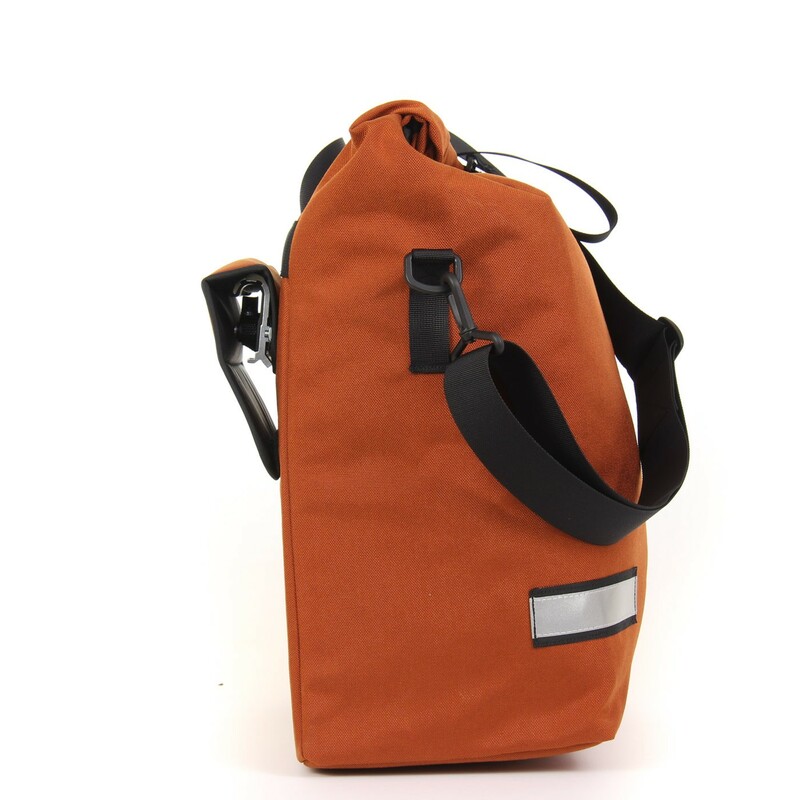 The material on the outside is very strong and durable, exactly what a pannier should have. 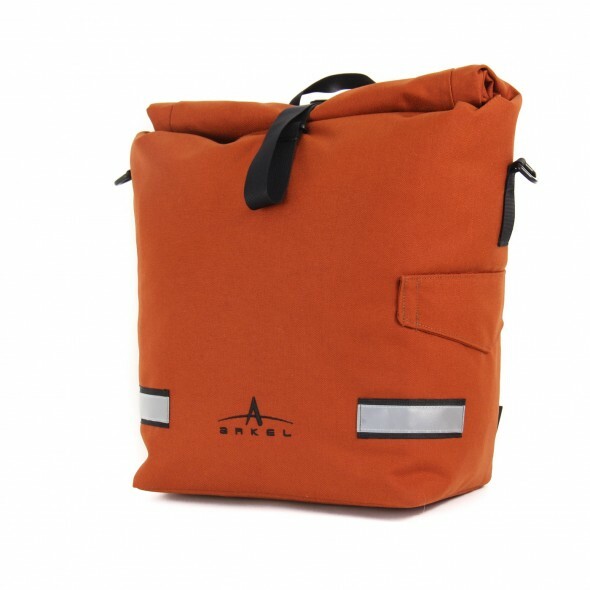 I can't say enough about these panniers. I will definitely buy another one if this one ever breaks down. I got these for Xmas last year and they are a dream come true. I can run multiple errands after work or do a full week's worth of groceries at once in any weather. 3. Bag had to be adjustable so there was NO CHANCE my foot would rub against it. 4. Lastly, the Bag had to have a Strap I could throw over my shoulders without taking it off the bag prior to locking it onto the rack each time. 5. Had to have an inner Laptop compartment to secure my work laptop. 6. Only wanted the bag as a UNIT not a PAIR. I don't have that much stuff (clothes, laptop, bike repair kit). You can't believe how many bags I researched and this is the only one that met all selection criteria. 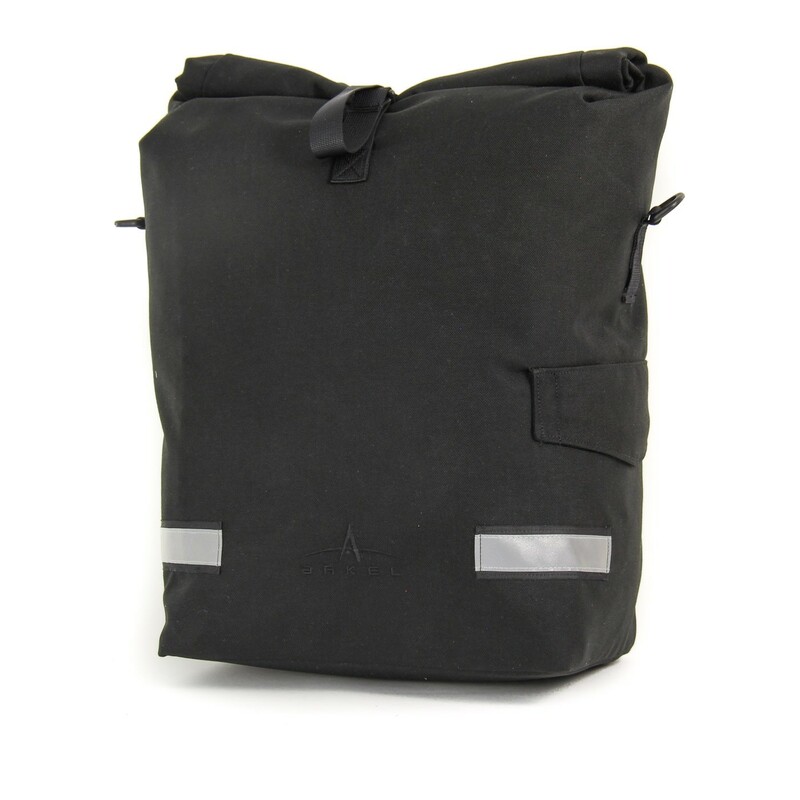 Results: I've used this bag several times now, even in rain, and I can say confidently the bag met or exceeding my expectations in ALL 6 areas. Very very happy with the bag: I should have done it years ago! No more shoulder/back pain; feels so free. Only comment: noticed some small threads on the bottom of the bag but think it is leftover from the sewing machine or whatever. I burned them off. Pricey but so worth it.